In a candid and wide-ranging presentation at the FT Camp Alphaville summit, dubbed “The Smart Guy in the Room”, he cautioned that modern accounting methods could be legal while still presenting a misleading picture of a company’s health. “There may be a fundamental difference between a company following the rules and a company presenting a true picture of its financial position,” he told an audience assembled for the annual get-together for the FT’s financial and markets bloggers and its readers.Clutching a trophy he won after being named CFO of the year in the early 2000s, Mr Fastow said he had won it for services to off-balance sheet financing, adding that people did not win awards for that any more. In his other hand he held his US Federal prison ID — which he said he was given for exactly the same deals that won him the CFO award. While running through some of the notorious “special purpose entities” that triggered the Enron saga, he also drew on current examples of aggressive bookkeeping. Mr Fastow said that it was possible for a company to comply with accounting standards while at the same time painting a misleading picture of its real financials. Referring to himself as “the chief loophole officer” at Enron, he said: “sometimes you follow accounting rules and they are nonsensical”. He pointed to the method used to value oil reserves, whereby companies still valued reserves at $95 a barrel at the end of last year — the average price in 2014 — despite a huge sell-off in the final months of the year that took prices closer to $50 a barrel. “The market gives companies the benefit of the doubt with regard to accounting assumptions and structured finance transactions until it doesn’t,” he said. He told delegates that companies who relied too much on mark-to-market accounting to value assets and contracts needed to be watched carefully. MTM accounting was addictive, like crack or Twiglets. Mr Fastow said it took him a long time to accept and articulate what he had done wrong but now believed it was right he had been sent to jail. He said he knew that while he had played by the rules he knew he had flouted the key principles that they were supposed to enforce. The Camp Alphaville outing, held in the Artillery Garden at the Honourable Artillery Company in the City of London, also featured presentations on disrupting death, a history of GDP, and whether there would be another financial crash. 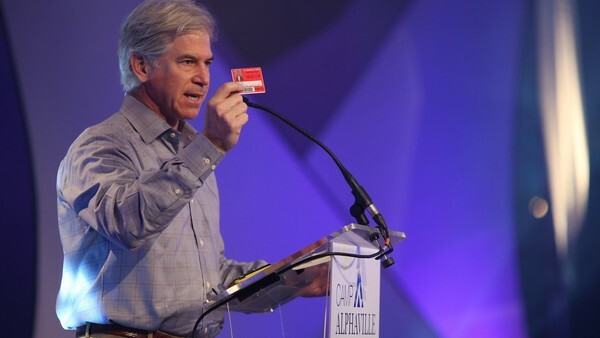 “Prior to going to prison no one invited me to speak at events like this,” said Mr Fastow.